2019 brings some new restrictions and fees to selling, owning property. Oakland Real Estate has at lot to offer being the largest city in Alameda County it has many new condominiums, townhouses and single family residences. There are many older neighborhoods with Victorians and other charming older styles as well as Lofts, duplexes and apartment buildings. Laurel District is located between 35th Ave and High St just below the shopping district on MacArthor Blvd. Sequoia Hills located above 580 between Keller and Golf Links with the top at Skyline Blvd. Just a few of these homes were built by Eichler Homes. Adams Point is located just above Lake Merritt below 580 and between Grand Ave and Oakland Ave. 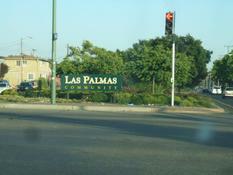 It is made up of a mixture of condos, apartments, duplexes and diverse single family residences. Fairyland park, Lakeside park, the Veterans Memorial building, Whole Foods Market all adorn this area. Oakland's Rockridge, located on border of Oakland and Berkeley, offers an upscale, yuppie feel with old world European charm with its boutiques, markets and gourmet restaurants with easy access to the BART station. Dimond District has a mixture of all walks of life. Located at MacArthur and Fruitvale hosts a vibrant business district of shops, banks and groceries stores. Diamond Park once owned by the man whom the neighborhood is named has pool, tennis, picnic and play ground area. 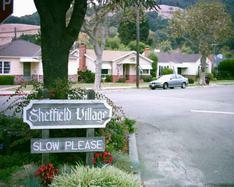 Tucked up against the San Leandro hills is Sheffield Village built in 1939. These were built by E. B. Field Cooperation which incorporated a HOA to guarantee to preserve the quality of life and stability of the neighborhood and children attend San Leandro Schools. Photos of homes I have sold and more about the amenities in Sheffield at this link. In the West Oakland, North Oakland, East Oakland up into the foothill , the Grand Lake, Lakeshore-Trestle Glen, Glenview, Lincoln Heights, Laurel, Redwood Heights, Maxwell Park, Eastmont, and Millsmont neighborhoods, and in the high hills communities include North Hills, Hiller Highlands, Upper Rockridge, Montclair, Ridgemont, Grass Valley neighborhoods. 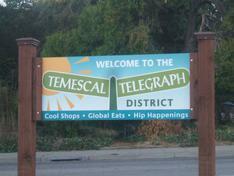 Several flatland neighborhoods are considered trendy are Temescal, Piedmont Ave., Lake Merritt. areas. Downtown include the Loft District, the Waterfront, Old Oakland, Chinatown, and Uptown areas. Oakland with over 400,000 residents it supports three sports teams (Raiders, Athletics and Warriors). There is the marina, over 60 parks, Jack London Square, the Financial District, Chinatown, Oakland Airport, Oakland's proximity to San Francisco taking just 15 minutes from downtown Oakland by BART or car. The diversity of real estate, price range has something for all. Jack London Square offers an array of shops, restaurants around the water front. Lake Merritt adds even more to Oakland's downtown with picnic sites, Children's Fairyland Park, boating, jogging trails and the evening it is lit up all the way around Lake Merritt. Closing costs? How much are Transfer Taxes in Oakland ? Things to do, places to see, sites and other places of interest in Oakland. Oakland Airport has plans to add additional terminals, gates, and an expanded garage to double the amount of parking. New stores and hotels are bringing a new look to this area. As the character Oakland continues to change with waves of immigrants from within the US and other countries relocate here Oakland grows, expands and is changing constantly. Search homes for sale in Oakland CA. Moving? Utility contact information How much is Oakland Transfer Tax? The information on this page comes from a reliable source but may not be current. Scott Harrison of Coldwell Banker Residential Real Estate assumes no liability for its accuracy but will make additions, changes or updated information for this page.